For German shipyard Lürrsen, size matters. Boasting a fairly healthy order book for 2018/2019, one of the yachts currently under construction is Project TIS, a quintessential 110-metre yacht with a 16-metre beam scheduled for delivery in winter 2018. With exterior and interior design by Winch Design, and with a long and well-balanced sheerline, TIS boasts extraordinary volume spread across six decks. In addition to spacious interior and exterior areas for entertaining, two sweeping staircases at the transom create an impressive entrance, complemented by generous ceiling heights and a sophisticated interior. Alongside TIS, Lürssen currently has several other impressively large yachts in various phases of build. At its main facility known as Lürssen-Lemwerder, a 99-metre-plus yacht is under construction. At the facility known as Lürssen-Aumund, a further two hefty-size yachts are well under way, while at the pier 135-metre Shu is undergoing its final outfitting and being readied for delivery. Designed by Espen Øino and scheduled for delivery this autumn, Shu successfully concluded its final sea trials in May in the North Sea. Shu is one of a number of 99-metre yachts that Lürssen has built its reputation on, but it’s the smaller 60-plus-meter market that is piquing the yard’s interest, says Michael Breman. 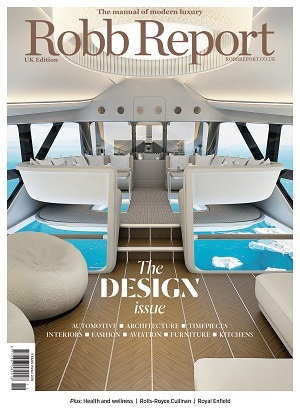 “In the past 15 years, we have built 20 yachts that are between 50 and 90 metres and only 15 yachts that are larger than 90 metres,” he says. With eight facilities spread across Germany, Lürssen has ample space to build and refit multiple yachts simultaneously in covered sheds and dry docks. Purely focused on bespoke builds (with no interest in venturing into series yachts), Lürssen has invested heavily in its facilities over the past year in a bid to improve efficiency. With more than 2,700 people employed across the group and undertaking all its steel work in-house, the shipyard not only has the space but also the manpower of 700-plus engineers and naval architects, and a multitude of craftsmen to tackle any project—be it a new build, a refit, or a conversion. The Hamburg-based Blohm + Voss shipyard has now become the main hub for refit and repair, with the superyacht division rebranded to Lürssen Yacht Refit to reflect this change. Refit has become a core business for Lürssen, and following the Blohm + Voss acquisition it now has the facilities and capabilities to undertake multiple refits at any one time, all in Northern Germany. During the last year, more than a dozen yachts between 49-metres and 99-plus metres have used the Lürssen facilities for modifications and maintenance work, eight of them at the Blohm + Voss yard. Among them are some of the world’s most iconic yachts, such as Lady Moura, Yas, Rising Sun, and Alfa Nero, while Tatiana, Quantum Blue, and Jupiter have already passed through in the first half of 2018.